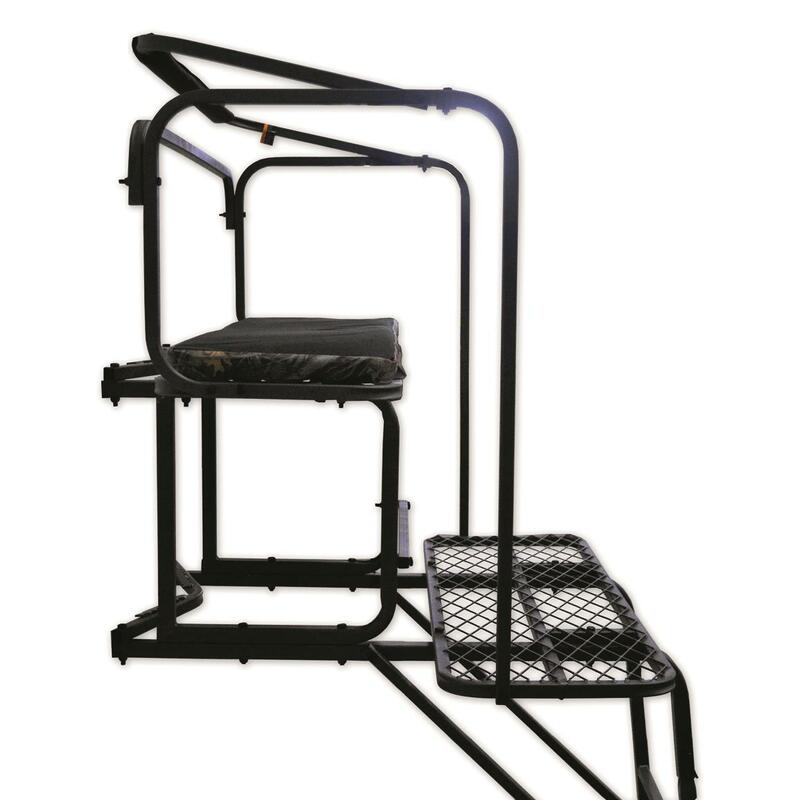 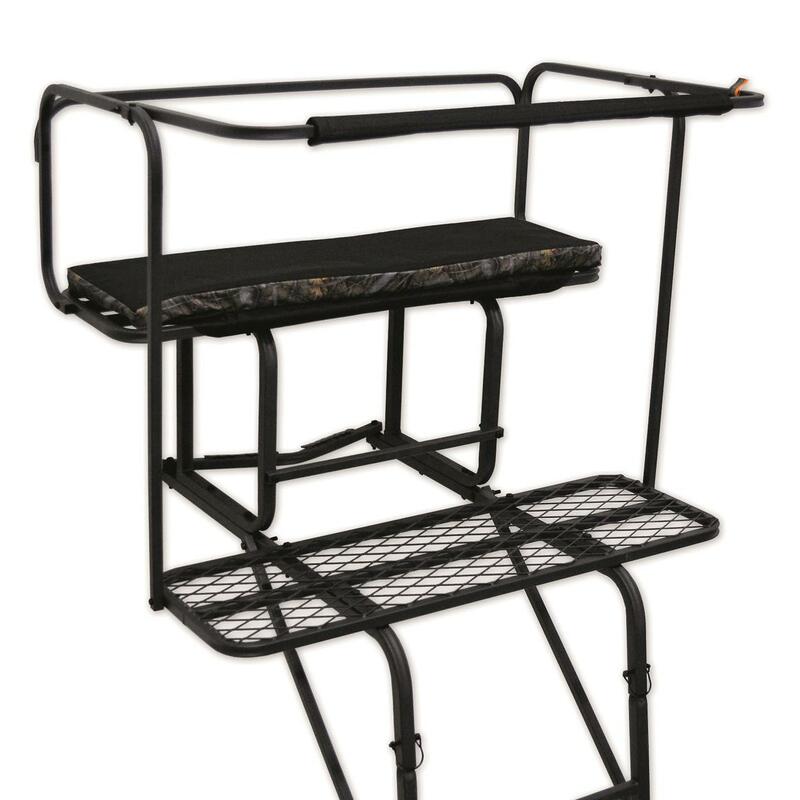 Whether you're hunting with a friend or carrying extra gear, the Copper Ridge 17' 2-Man Ladder Stand provides the roomy comfort you need for long days in the stand. Made from 100% steel and features a large foot platform, padded seat, and flip-up shooting rail. 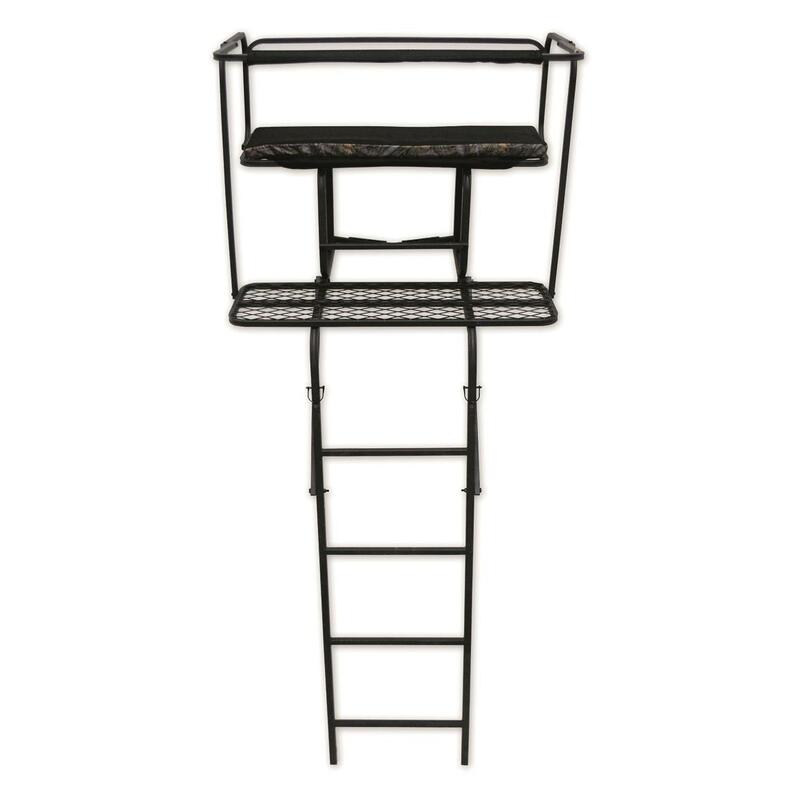 Platform Dimensions: 40"w. x 13"d.
Seat Dimensions: 40"w. x 13"d.
Copper Ridge 17 2-Man Ladder Tree Stand is rated 4.0 out of 5 by 1. 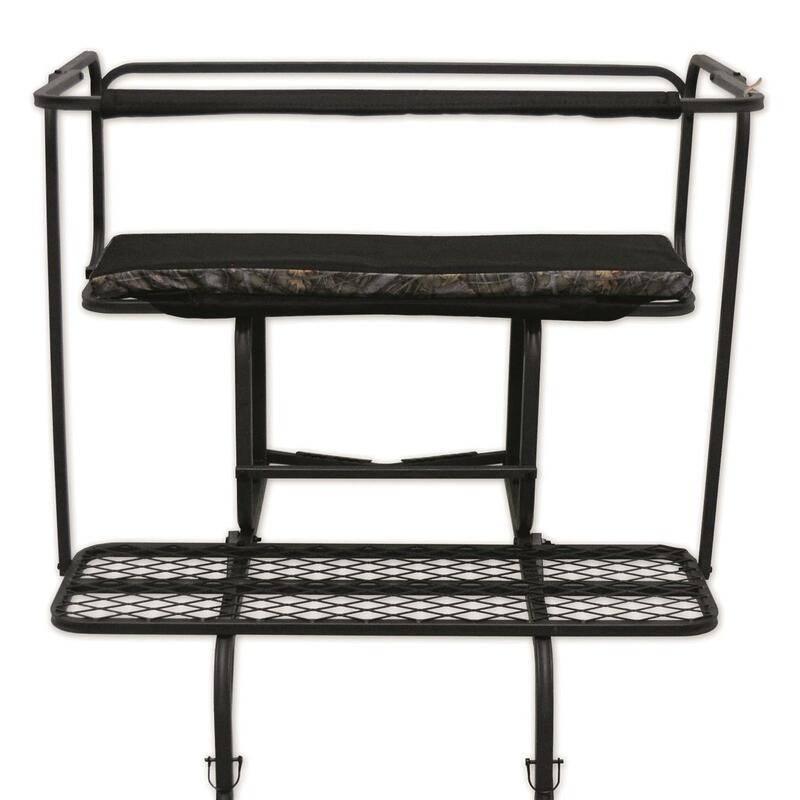 Rated 4 out of 5 by CASHMAN from Super deal This is a safe and sturdy ladder stand.. the shooting rail raises and lowers for easy accessibility in and out of stand.I would like the shooting rail to be 6” higher like the muddy ladder stand. 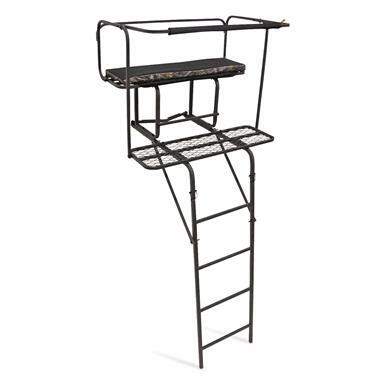 This one is ok for a short person, but I have to lay across it to get a good aim point.